Hardcover, 9.25 x 10.75 in. / 176 pgs / 100 color. "This isn’t your usual abstract art for uptight abstract people. 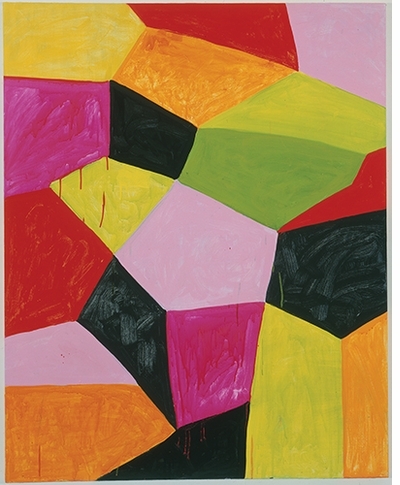 For Heilmann, paintings are things as much as images. They come with personal memories and references. They are objects that things have happened to. They have life in them." Edited with text by Lydia Yee. Text by Briony Fer, Mary Heilmann. Mary Heilmann studied ceramics and poetry before moving to New York in 1968 and taking up painting. A pioneer of infusing abstract painting with influences from craft traditions and popular culture--especially rock music and California beach culture--Heilmann is one of the most important yet under-recognized artists working today. Mary Heilmann: Looking at Pictures explores the artist’s approach to abstraction from two distinct but interrelated perspectives: the formal and the personal. The autobiographical dimension of the artist’s work is clear in her pieces related to friendships, memories and places; while the formal aspect of her oeuvre is evident in her paintings of grids and squares rendered in primary colors and in works based on architectural planes. As well as a new essay by Briony Fer and writings on key works by the artist, the volume features over 100 beautiful full-color illustrations of paintings, works on paper, furniture and ceramics from Heilmann’s five-decade career. 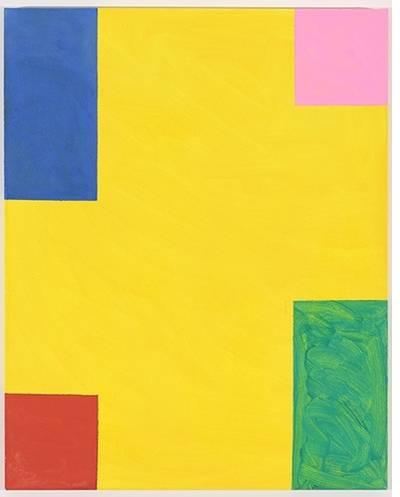 Mary Heilmann was born in San Francisco in 1940. She studied at the University of California at Santa Barbara, San Francisco State University and the University of California at Berkeley before moving to New York in 1968. 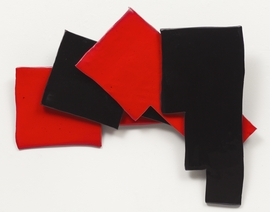 Heilmann began her career creating furniture and sculpture and moved into abstract painting once on the East Coast, experimenting with bright colors and unusual geometries that bridge two-dimensional and three-dimensional elements. She has been the recipient of the Anonymous Was a Woman Foundation Award as well as a Guggenheim Foundation award. Briony Fer is an art historian who has written extensively on modern and contemporary art. Her research interests have consistently moved between the history of the avant-gardes and the work of contemporary artists, including Gabriel Orozco, Roni Horn, David Batchelor and Tacita Dean. Her books include On Abstract Art (1997), The Infinite Line (2004), and Eva Hesse: Studiowork (2009). She has also organized exhibitions of Eva Hesse’s studiowork as well as, most recently, an exhibition of the work of Gabriel Orozco, accompanied by the monograph Gabriel Orozco: thinking in circles (2013). In spring 2014, she was Kirk Varnedoe Professor at the Institute of Fine Arts in New York. She is Professor of History of Art at University College London and a Fellow of the British Academy.? 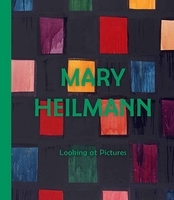 Featured image is reproduced from Mary Heilmann: Looking at Pictures. Heilmann’s work has a light touch but the work carries real authority…. She’s a playful painter, dragging her finger through paint, rotating canvases so drips flow in all directions, creating webs of lines, busy blizzards of marks, and calmer fields of colour. It’s hard not to be optimistic when surrounded by Heilmann’s works, they are sincere and effortlessly cool – and a testament of a woman who, during a time when painting was once thought to be dead, brought new life to the medium. Join 192 Books TUESDAY, October 25 to celebrate the publication of Mary Heilmann: Looking at Pictures, the artist's gorgeous new monograph from Whitechapel Gallery. Heilmann will be signing from 7PM onwards! FORMAT: Hbk, 9.25 x 10.75 in. / 176 pgs / 100 color.